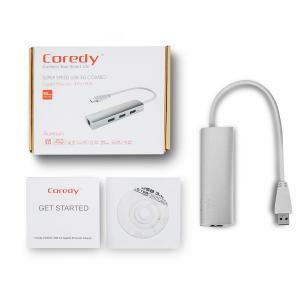 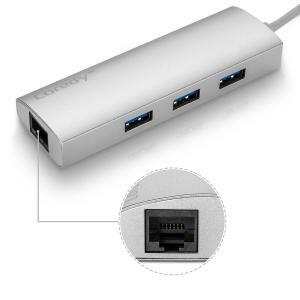 With the Coredy Combo, no more need to worry of the no Ethernet connector and USB problems of your laptops and ultra-books from now on. 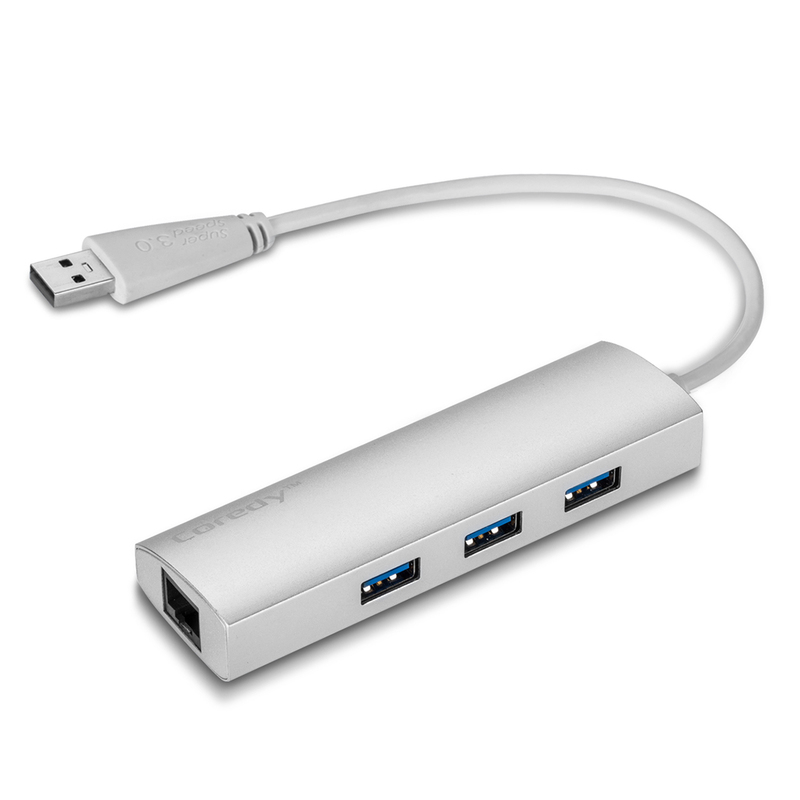 you can instantly enjoy the secured wired internet at a speed high up to 1000Mbps via the USB 3.0 cable. 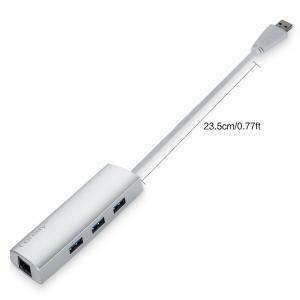 And it extend 3 more 3.0 USB ports for your slim device. 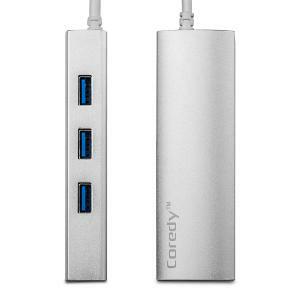 It’s sleek yet durable apple-style aluminum fineness，can effectively withstand scratches from repeated plugging in. And with the supported Hot swapping tech, it may ensure your devices and data are always safe. 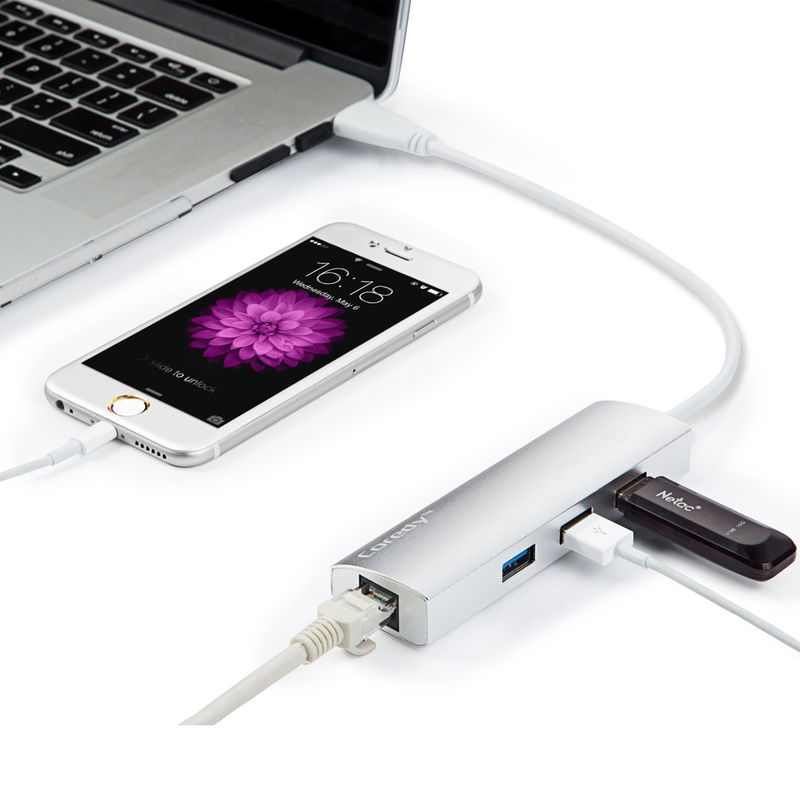 It’s only 2.3oz weight with compact grab'n go size, which will take only little room of your bag of desk. 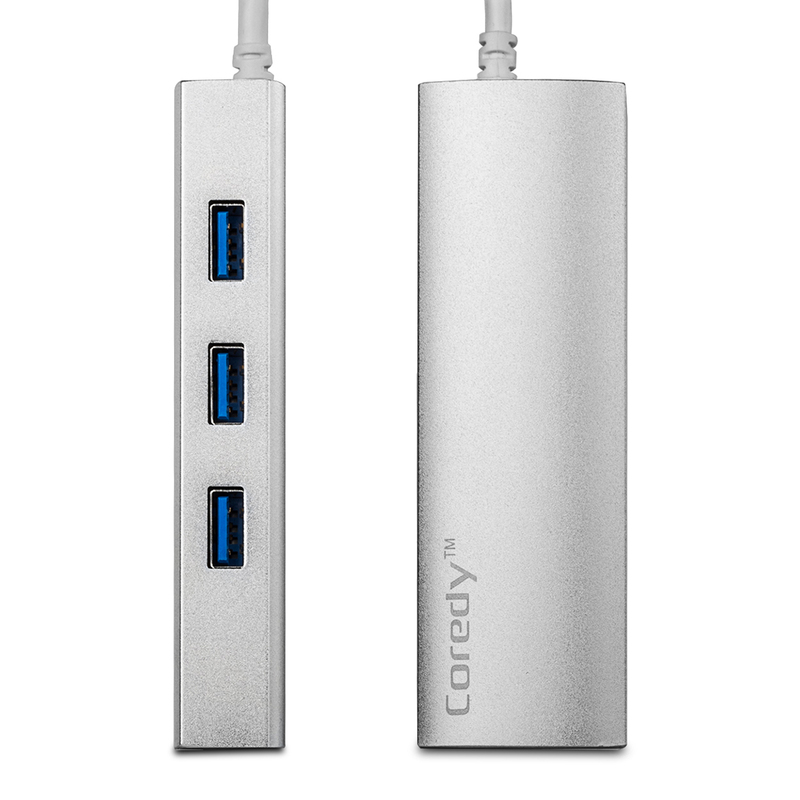 And it’s sandblasted design make it Magnificent good-looking and best match for your laptops.